IGN Australia has just been informed that Dark Sector , the third-person action game from Digital Extremes, has been banned by Australia's censorship board. In the game, players assume the role of Hayden Tenno, an elite black-ops agent who has been infected by a brutal bio-weapon virus, giving him explosive combat capabilities. 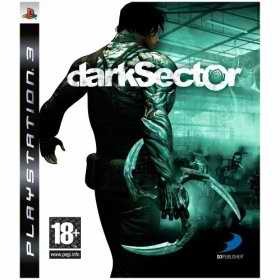 In its report, the Board describe Dark Sector as a violent and sometimes gruesome game with a sinister storyline and ominous outcome. The violence and aggression inflicted upon the protagonist is of a high level, naturalistic and not stylised at all. The game contains violence that is high in impact and the game is therefore unsuitable for persons aged under 18 years to play. In the unanimous view of the Board, the impact of the game exceeds strong and as such cannot be accommodated in a MAI5+ classification. A statement issued by D3Publisher has confirmed the Australian ban on the Dark Sector video game. It also said that the game's distributor may appeal the cemsor's ruling. AFA Interactive, the publisher's exclusive distributor in Australia, is considering an appeal on the decision and will not rule out the eventual launch of the title with the censor's approval. Following up on the Australian censors ban in February, Dark Sector 's local distributor, AFA Interactive has confirmed its intentions to release a build based on the sanitised Japanese version of the game down under. AFA Interactive reveals it is simply waiting for publisher D3 Interactive to send out the new iteration of the PlayStation 3 and Xbox 360 title. With no decapitation and toned down... limb severing on humans (only) , AFA hopes this build will guarantee a MA 15+ reclassification under the ever hypocritical rules of the Australian censors. Dark Sector will finally get an Australian release after a series of cuts enabled the PS3 and Xbox 360 game to secure an MA 15+ rating. Released in March in Europe and North America, the Digital Extremes developed third person action title had been deemed too ‘violent, gruesome and sinister' for Australian gamers by the country's Classification Board. The ratings body has now granted the game an MA 15+ rating following a series of cuts. The revised version of Dark Sector still features strong violence, according to the censors.